Following the Bureau's catastrophic encounter with the monster-god Katha-Hem, Kate heads to France with hopes of bringing Roger back to life, and Daimio reveals the truth about his death in the jungles of Bolivia. The coming frog apocalypse heats up as Abe meets a secret society of Victorian cyborgs with ties to his origins, andLiz's visions grow increasingly dire! 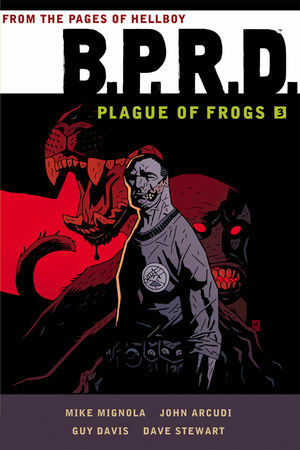 From Hollow Earth to King of Fear--the entire war on frogs in four volumes! * Three Mignola trades in one hardcover! * Featuring the first appearances of Panya the mummy, Daryl the wendigo, and the origin story of Daimio!